We bought a tart pan. A nice, slender one that was just begging to be used. If I remember correctly, I spotted it at HomeSense, and that very evening this tart was pulled out of the oven. I couldn’t help myself. Instead of going with my weakness, and making a lemon tart, I decided to be a little more sane. God forbid I eat this all in one sitting. Grapefruits sounded so appealing. 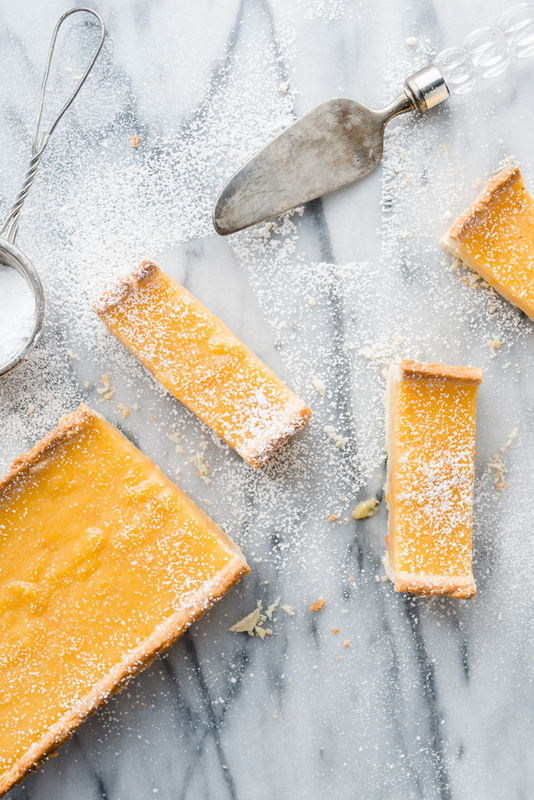 Light, citrus desserts are totally my thing. Actually, I just like dealing with pastry dough too! I don’t find it tedious, as I know some people do. Making pies was always something I did with my mom, and we always used grandma’s recipe, so that’s probably why I feel so fondly about it. Writing about this really makes me want to make another one, and I hope you’ll feel the same. Fortunately, I think there’s some stone fruits begging to be put to use, and many new ideas in that reserve of recipes I have. Hopefully you love this tart as much as we did. It can be a farewell to fresh summer breezes. 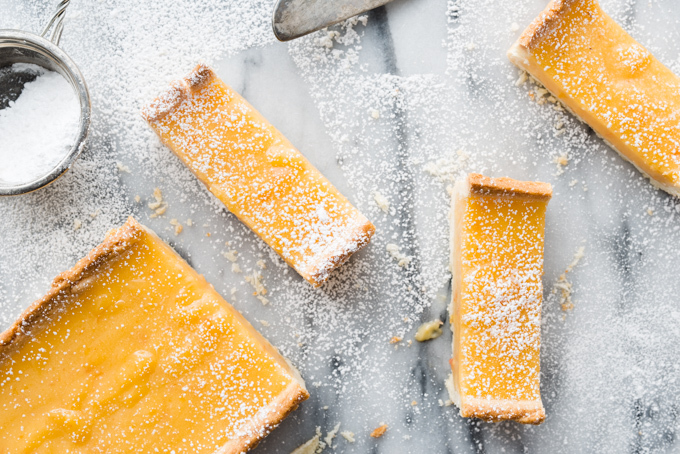 A perfect tart with smooth consistency, and bursts of citrus. In a food processor, combine flour, butter, and sugar, pulse until mixed. Add in yolk and cold water, continuing to pulse until dough just forms together. Knead dough on a floured surface until smooth, then shape into a disc and wrap with plastic wrap. Place in the fridge for about 30 minutes until chilled. Spread dough out in a 14 inch long pan (or large round tart pan), and chill for another 30 minutes. Once chilled, add baking weights (or dried beans - we'll usually lay a layer of parchment, then the weights on top) on top of crust and bake for 12 minutes, remove weights and bake for another 5 minutes until golden brown. In a saucepan, add zest, ¾ cup juice from grapefruit, sugar, corn starch, eggs, and egg yolks. Bring to a boil on medium heat, whisking constantly for about 2 minutes. Remove sauce pan from heat, then stir in the butter and olive oil until smooth. Pour into the shell, and refrigerate until set (at least 2 hours). 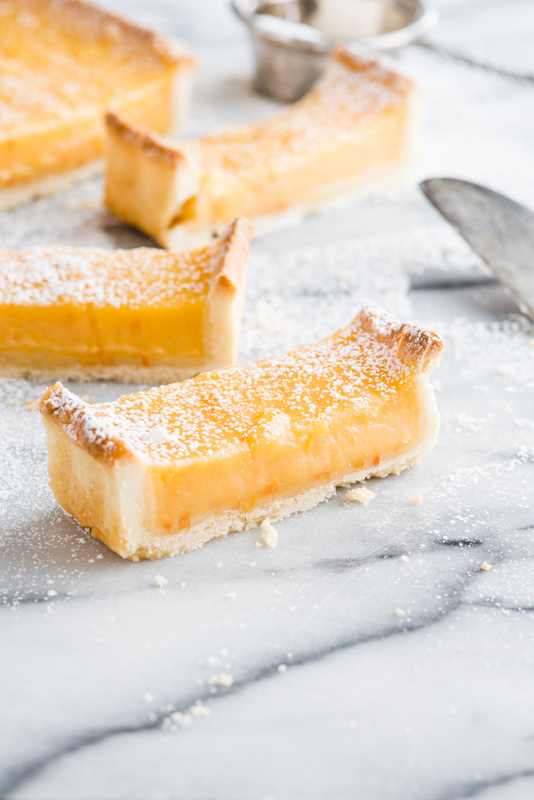 Once the tart has set, cut into slices and serve! Can’t wait to try! Just found & am trying your cauliflower zachunni soup recipe! I added a potatoe & roasted pepper. Am excited to try other recipes of yours Thanks for sharing!